* Preceding the band's gig in Ottawa, there is a Theremin demonstration by Makigami in the afternoon. The admission is free. The detail is here. In the midst of the tour, the band will hold a recording session at EastSide Sound in New York City for next album. This is the first time for them to play in Canada. And the first time in New York City since 2011. Remember, Hikashu is a live band in the first place. CDs are great but it's live performances where they really shine. Be ready to be shocked - they're not like anything what you've ever seen before. And this is a rare treat. These days it's becoming harder and harder for indie act from overseas playing in America, especially New York City. That means it's unlikely that they play again in US near future. So, for audiences in NYC - and America - last but not least you Canadians too - Do not miss it. This summer Hikashu will perform in two regional festival in greater Tokyo area, and both events will be organized by Makigami. 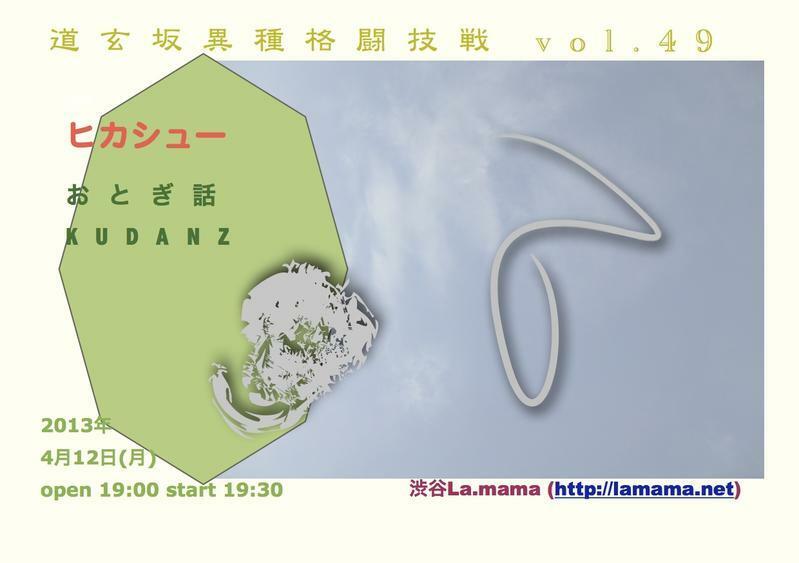 One is Jazz Art Sengawa, which Makigami has been served as co-producer from the start, and the other is a newly projected, outdoor concert of jazz and rock music in Odawara, Kanagawa perfecture. It's official. The prominent festival for jazz, avant-pop and improvisation in Sengawa of Chofu city, the west region of Tokyo, is going to be held this year. 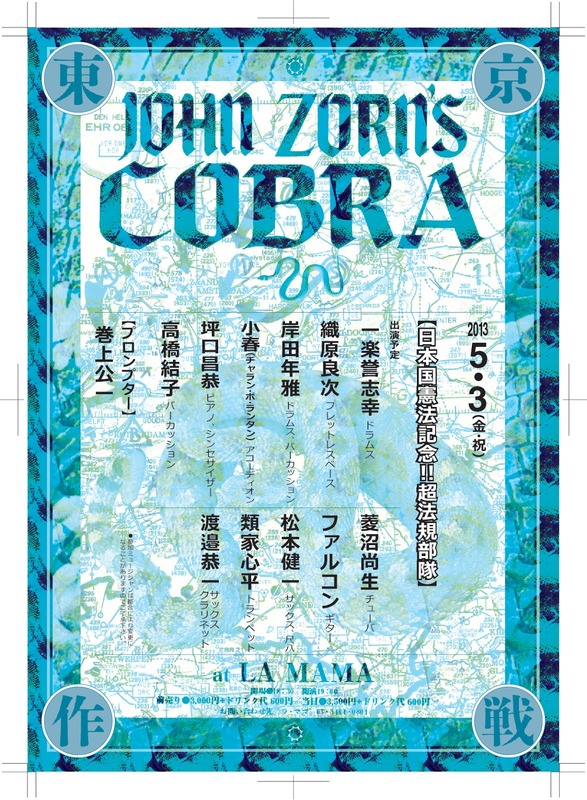 The producers of the event, Makigami Koichi, Fujiwara Kiyoto and Sakamoto Hiromichi, recently convened a meeting and confirmed the dates: July 19-21. They are still negotiating with acts, and right now we don't know anything about who's gonna perform when, but Hikashu do appear on July 20. Still at planning stage yet, but it's very likely Hikashu will perform at a newly-created outdoor music event held in Sakawa-gawa (Sakawa River) region of Kanagawa perfecture this summer. It's an idea of Tsuyuki Junichi, a local polician who initiates a plan to hold a music festival for helping stimulate regional activities. Mr. Tsuyuki happens to be an old acquaintance of Makigami Koichi and Mita Freeman as well, so naturally he asked Makigami for help, and both agreed to go ahead with it. The selection of performers seems to be left entirely up to Makigami, so this must be an interesting thing. Let's look forward to forthcoming proposal. Before the Canada tour, Makigami Koichi will join the performances of Mori Ikue in Sweden and Denmark. Two of Japan's true heroes of avant-garde, electro-artist Ikue Mori and vocalist Koichi Makigami, bring to MADE a synthesis of traditional Japanese culture, theatre, images and experimental pop music. Ikue Mori began her musical career in 1977 when, together with Arto Lindsay, she started the cult No Wave band DNA. Using a combination of images and electronic music, Mori today creates atmospheric landscapes located at the junction between science fiction and nature romanticism. Koichi Makigami is one of Japan's leading multi-instrumentalists and the musical force behind groups like the acclaimed "pop experiment" Hikashu. As a vocalist Makigami is extremely versatile, with a voice that commands a range spanning from jazz, to throat singing, to rock. As expectedly, the joint gig of Hikashu and Third Person turned out splendid. We'd say, "you'd been there." The first set was Third Person plus one of the Hikashu members. Each turn was about 10 minutes, and it proved again that all the members are seasoned improvisers. For example, drummer Sato Masaharu appeared with a small, metal percussion in his hand (which is ordinally used for Salsa music), and subsequently he made a series of incredible sound with just that metal object, plus his voice. The second set was mainly for Hikashu, and Third Person joined the performance on and off. Not only for sound but performance-wise the two groups were blended amazingly and quite entertaining. Both Umezu and Bennett were often dancing, throwing humorous remarks, and the crowd cheered. The last number of the set was "The Gospel of Gone" written by Tom Cora, the original member of Third Person who passed away in 1998. Samm Bennett recently wrote a lyrics for the song and he sang it for himself at the gig. It was the first time performance of the new version, but they had already rehearsed it, and the result was flawless. Samm's singing and Hikashu's sound, augmented with Umezu's saxophone, were strong and emotional, especially Shimizu's piano which had a plenty of gospel feeling was impressive. It was a grand finale indeed, and utterly suitable for closing the gig. It was a delightful and memorable evening. We'd say they shared the same spirit, they were really in the same wavelength, and that's not so common thing. This must not be a one-time thing, and they should be together again anytime soon hopefully. Hikashu will perform as a headliner at series event at LaMama of Shibuya, Tokyo on April 12. "Dogenzaka Ishu Kakutogi Sen volume 49"
nen niwa nen wo ire     making doubly sure. fukamenai (fukamenai)  (not thinking over). tameni                  in order to do that. nyu'nen na kaigara      a deliberate shell. pan niwa an wo ire      stuffing bun with bean jam. nyu'nen na yakikata     a deliberate way of baking. ten kara futte kita     something fell from the sky. mono ga                 with your head. ase bande iru           sweating quite a bit. Having an addictive riff and great hook, Nyu'nen is just a great tune. It's also a kind of signature song for the current line-up of Hikashu, and has been a "core repertoire" in their gigs for years. But seeing the lyrics, you probably don't "get it." Because the translation is just terrible, and admittedly it is. But actually, it's very hard to tell what this song is about, even for Japanese. We have to use some imagination to see what it actually is, and that's a kind of question which never be answered, unless you think any poem should have something like "one true meaning." We have our own interpretation, but we refrain from expressing it here, because that's nothing but merely a speculation and it could not be verified in any way. Nevertheless, it's obviously an well-crafted, deliberate piece of poetry as a whole. Vague and obscure, but utterly imaginative and thoughtful as well. A fine example of Makigami's wordsmanship. One thing is clear; it contains reference of cooking and foodstuff. "Baking" from the "a deliberate way of baking" line refers a way of cooking foodstuff. I choose the word "baking," but it could be interpreted as roasting, grilling or toasting. In Japanese, all those variations could be described by one word "yaku" as it is used in the lyrics. As translator, we had to decide which is appropriate, and choose "baking" because the lyrics referred buns. What the "stuffing bun with bean jam" line implies of is Anpan. Anpan is a very popular kind of stuffed bun in Japan (wikipedia). How popular? Almost every cvs carries some. Anpan is a bun having bean-jam inside called "An." Bun (or bread) is called "Pan" in Japanese, hence the name. 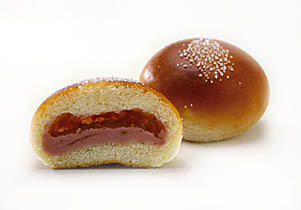 Kimuraya Yasubei and his son invented Anpan in 1874. His baker company "Kimuraya Sohonten., Ltd, " founded in 1869, is now located in Ginza, Tokyo and has many branches throughout the country. 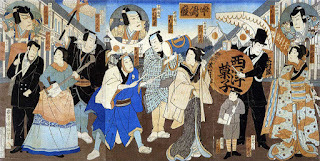 An-pan has a historical importance as well because it's often cited as one of the earliest symbolical figure of "Japanese spirit and western learning." An-pan was invented in meiji era - that's the period when Japan finally relinquished the national seclusion policy, opened its territory to the outside world for the first time in 200 years. 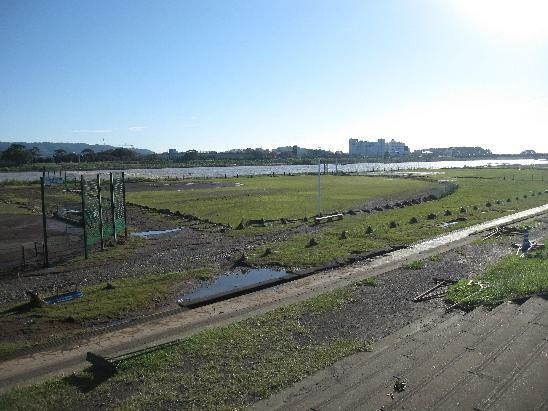 After abandoned the policy, in no time, Japan was flooded with western things - ideas, policies, thoughts, and numerous items. One of them was bread, and at first it was very alienated. But people in Meiji era made it japanized and popularized by stuffing it with domestic sweet bean jam called "an." 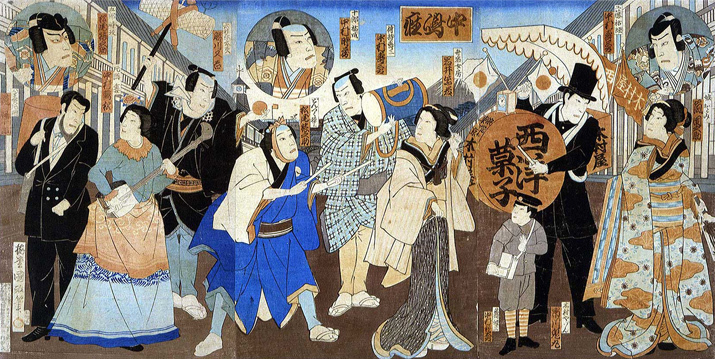 The man with drum in the Ukiyoe is publicizing the company's products. 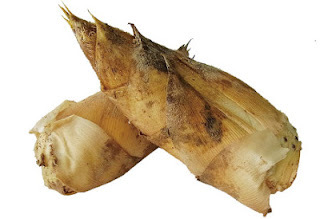 Takenoko means bamboo shoot (wikipedia). Literally the word says "child of bamboo." It is a another popular, traditional foodstuff as well. But why cooking and foodstuff? It's not clear. Maybe Makigami, a known gastronome, just tried to write a song dealing with food. It goes without saying that Nyu'nen is probably a only rock (or whatever) tune referring bun with bean-jam inside or bamboo shoot, as far as we know. Nyu'nen is a song with a long history. It was released for the first time as a 3-track EP in 2006, then the different version was available as a part of the album "Ikirukoto" released in 2007. But originally it was written sometime in early 90s and has been performed regularly since then. The band tried various arrangement and even recorded some versions in 1990s with different arrangement but those studio recordings still remain in the can.